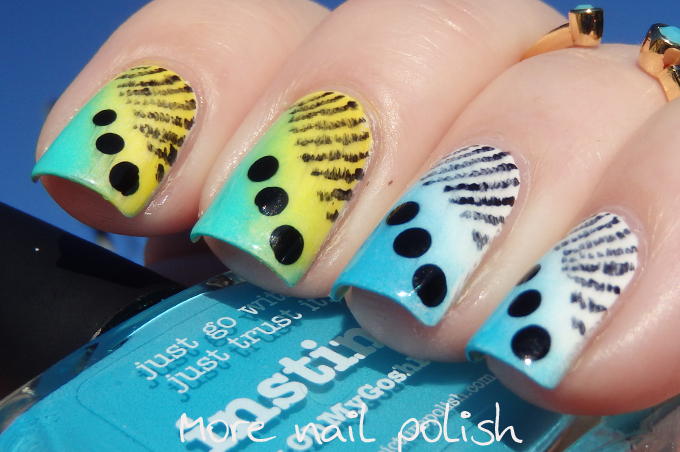 Animal print is such a fun prompt, there are so many amazing creatures to be inspired by. To find my inspiration, I google image searched the words 'beautiful animals' and browsed through the pictures. One of the images that I saw was of a gorgeous green and yellow budgie. 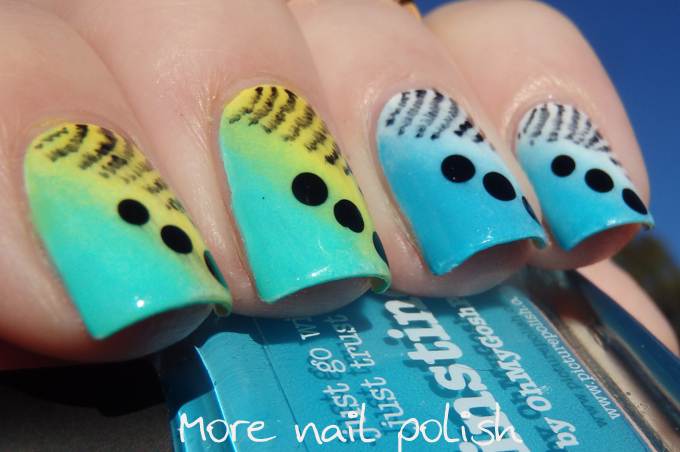 Budgies, or their full name of Budgerigars, are an Australian native parakeet, which a very popular pet birds. I remember when I was young, that my Nana and Granddad had a blue and white budgie called Chippie. Budgies are also very good at learning to speak, and I remember that Chippie had learned a few words. I particularly remember him saying 'pretty boy'. 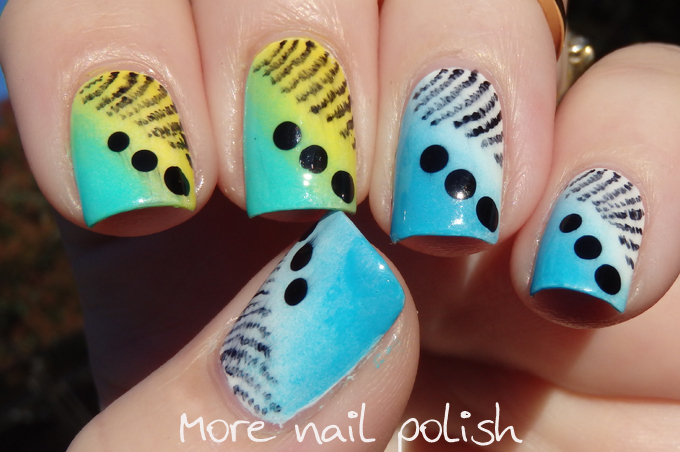 I chose to depict two colours of budgies, the blue and white ones and the yellow and green ones. The sideways gradient captured the colours. I then added the three dots that appear on their chin. I added some free hand fuzzy lines to represent the black feathered lines around their eye and head. I really love how they turned out. 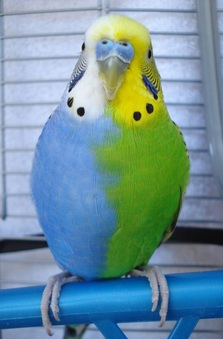 And just how awesome is this little budgie? He is a very rare bird with both the blue and the green colourings. 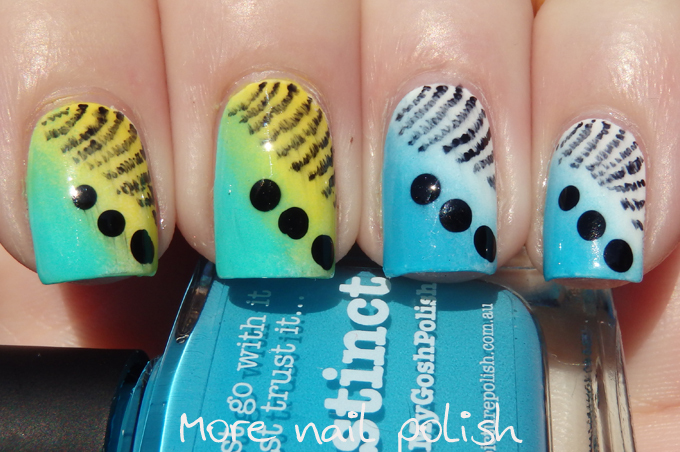 My animal print\nails from 2013! Love them! They're so pretty. This is GORGEOUS and so friggen creative! Awesome job! 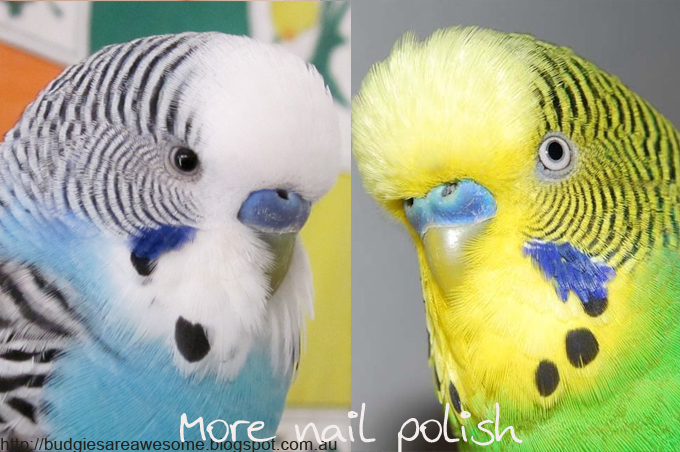 These are too cute, they really do remind me of budgies! 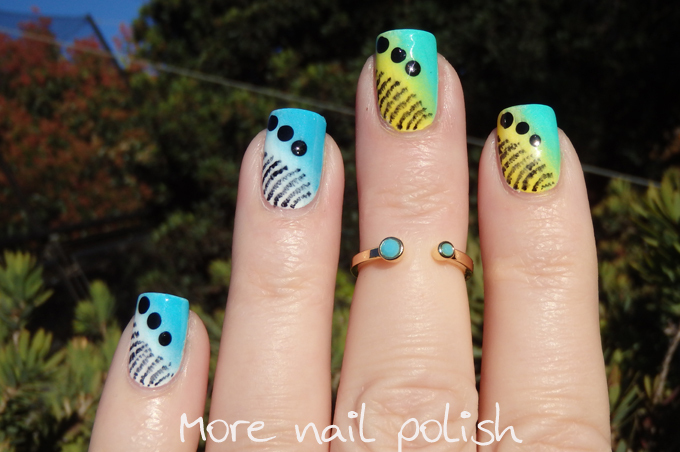 Such an amazing mani !! Very good idea!